Muslim Women’s Story Circle – Women in Islam Inc.
–A project of Women in Islam, Inc. The Muslim Women’s Story Circle (“MWSC”) is a leadership development project that uses culture, art, and storytelling to build community among Muslim women of diverse backgrounds. Its goal is to develop Muslim women’s capacities as leaders, organizers, and vanguards of change within their own communities. To this end, the Story Circle offers Muslim women a set of skills and approaches to support them leading dialogue in their communities. 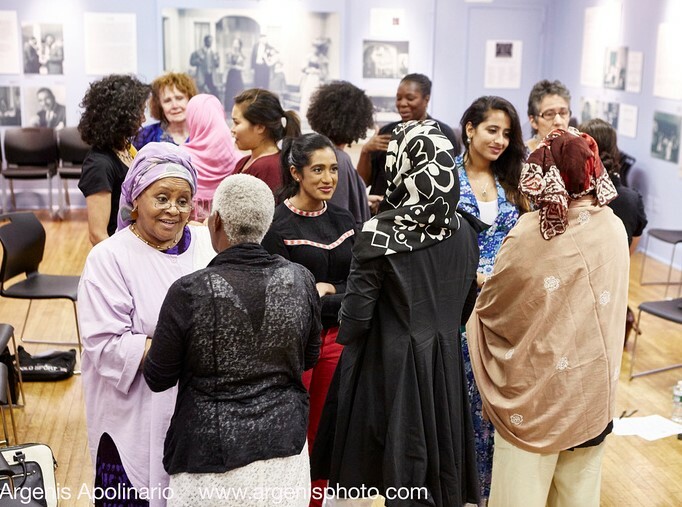 It is a place to build alliances and solidarity; share diverse views and explore the role of Muslim women as connected to civil and human rights struggle within their communities – all through a creative format. The seeds for the Muslim Women Story Circle started germinating few years ago when Women in Islam, Inc. (“WIIInc.”) was contemplating ways of using the Theater of the Oppressed techniques as a way to empower Muslim women through. 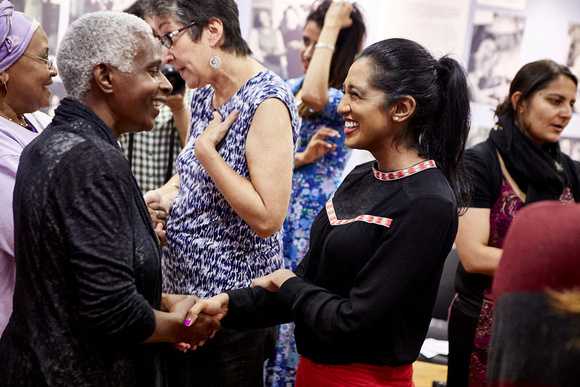 The first Story Circle took place in 2014 in partnership with the Organization for Islamic Cooperation addressing Muslim women’s experiences in mosques. This was followed by another Circle that took place in 2015 addressing three major areas that impact the lives of Muslim women: Mosque Inclusion, Islamophobia and Women’s Community Leadership. The aim of Story Circles is to deepen Muslim women’s engagement with issues that affect their every day’s lives through a structured series of art-making workshops which offer exposure and access to storytelling and art-making tools that allow Muslim women to reflect collectively and become empowered and equipped to generate social action in their own communities. Since its formation as Muslim women’s human rights and social justice organization, Women in Islam, Inc. has been working to address the dual challenges that women face from within Muslim communities and in wider society. Specifically, post 9/11, and as the U.S. has engaged in military actions against or in various Muslim majority countries, the prevailing stereotypes about Muslim women cast them as oppressed and uneducated. The negative images of Islam and Muslim women have placed a double burden on Muslim women who seek change within community settings. To address these challenges the organization saw it necessary to create a space for Muslim women to recognize and develop awareness of the forms of oppression, often subtle, that they face in their daily lives. The Muslim Women’s Story Lab is one example of the tools used by WIIInc to bring to the surface the challenges faced by Muslim women and build their capacities as leaders, organizers, and vanguards of change within their own communities. To find out more about upcoming Story Circles, please contact Maha Marouan at: mmarouan@womeninislam.org with the subject heading “Story Circle”.